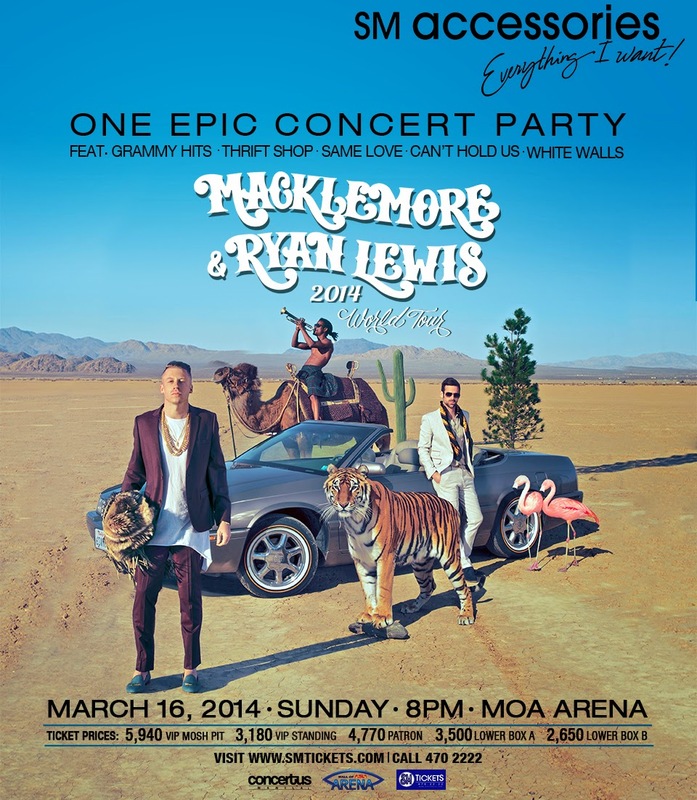 Winners of 4 Grammy Awards, including Best New Artist, Macklemore and Ryan Lewis are all set to perform in Manila on March 16, 2014 at the MOA Arena. Congrats DENISE IBAY for winning 2 lower box tickets to the concert! :D Thanks to everyone who joined!!!! Giveaway ends March 12. The winner will be announced in my twitter page and will be notified via twitter DM. HOPE TO WIN THIS !!! I'm praying for this!! Help me to see them live! Aaah.